If your home is due for a roofing inspection, turn to Rebuild Texas. Get the most years out of your roof as possible with a free roofing inspection from Rebuild Texas. We want what’s best for you — read below to find out what that means! 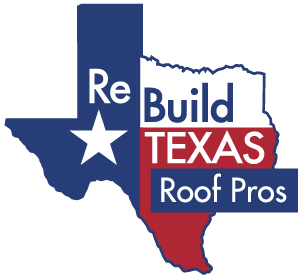 Whether your home has just been hit by severe weather or it’s just been a while since you’ve had a professional come out and take a look at your roof, now is a great time to get your roof inspected by the experts at Rebuild Texas. As your top 1 percent roofing contractor in Texas, there’s no other company better equipped to handle your roofing inspection. And, the very best part of choosing Rebuild Texas is that our roofing inspections are always 100-percent free to you! Why you should have your roof professionally inspected on a regular basis. Catch small problems before they turn into big ones. With roofing problems, the earlier you can catch and address them, the less damage they’ll cause and the more affordable they’ll be to fix. Waiting too long to get a roof repair will often mean paying a lot more to correct the problem, and you can’t possibly know that you need a repair unless you catch it, which is exactly what an inspection is for in the first place. Avoid water damage to your home. Roof leaks can do serious damage to your roof, but they don’t stop there. If left unattended for long enough, leaks can eventually seep into the home and cause extensive water damage. The tricky part about leaks is that they are hard to spot, but professional roofers know how to watch for signs of leaks and catch them early on. Get more years out of your roof. If you’re looking to get as many years as possible out of your current roof, then you should know that regular inspections are absolutely essential. Professional inspections are a key part of catching damage that can eventually lead to the need for early roof replacement. Make the most out of your insurance and materials warranty. Insurance and warranties are there to help cover your roof when it’s in need of repairs and replacements, but if you never get your roof inspected, you’ll never know when to submit claims. Some roofing companies, like Rebuild Texas, even have insurance adjusters on staff who can help you file claims when necessary. Save more money on roofing services. All of the benefits of roofing inspections that we’ve gone over have one thing in common — they all help you to cut costs on your roofing services. And, that’s something every homeowner can get behind. 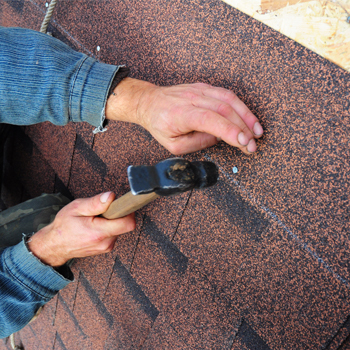 Turn to Rebuild Texas for roofing inspections you can trust. Regardless of whether you’re looking for an annual roofing inspection or a post-storm inspection, the team at Rebuild Texas is here for you. Our licensed and insured team serves all of Texas, including Colleyville, Dallas, Fort Worth, Grapevine, Houston, Southlake and beyond. Schedule your free roofing inspection today!